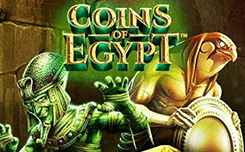 The company NetEnt introduced a new slot “Coins of Egypt” with the theme of ancient Egypt. On the technical side, the slot has a fairly standard structure, five reels and 20 winning lines. 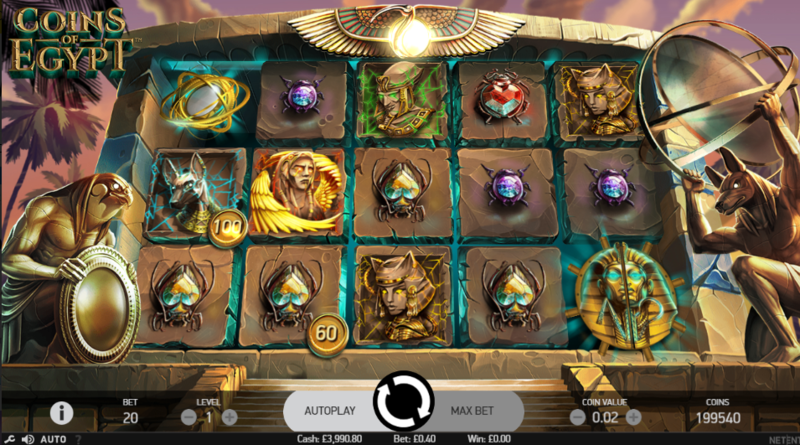 Nevertheless, the developers have provided the slot with a unique feature of the coin pharaon, thanks to which you can get additional winnings in any game mode. In addition to the unique coin function, the slot also has a free spin feature with three secret chests, which will be filled with coins for every free spin. Playing in Egypt’s coins, you immerse yourself in the amazing and mysterious world of ancient Egypt. Visually, the game screen is located on the background of an ancient temple on each side of which stand the Egyptian gods Horus and Anubis. On the screen you will see the symbols of various different beetles (mostly scarabs) – they are symbols of low cost. Symbols of great importance are Scorpio, Anubis, Vajeta, Bastet and Isis. The wild symbol is made in the form of a gold fly, it replaces any symbol of the game, except for the scatter, which looks like a white ball surrounded by gold rings. 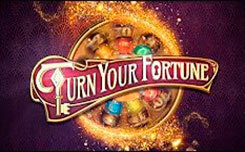 Feature Bonus coins of Egypt slot. The main function of the new slot is to win a coin from the pharaoh, which is active both in the main and in the bonus game. 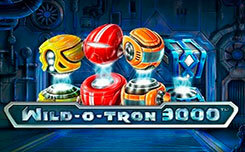 During the game, pay attention to the gold coins, which randomly appear in the bottom corner of the drop-down symbols. Each coin has a certain value, which can reach 15x from your initial bet. To get a win, you need to catch the collection symbol in the form of a golden statue of the pharaoh, which falls only on the fifth drum during the main game. When a symbol is dropped, the statue will open, and all coins will be summed and added to the main win for the current rotation. 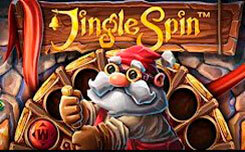 The second function is free spin, where you can get an unlimited number of free spins with a constantly increasing prize pool. 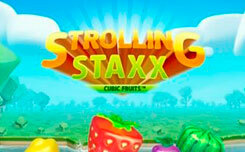 Free spins are activated when the scatter symbol appears on the first third and fifth reels. You will have unlimited speed, but pay attention to the following factors: at the bottom of the game screen there will appear three filled fields (Eagle, Snake and Cat), each of the symbols corresponds to the color of the treasure chest that are located at the top of the game screen. The red chest collects the Eagle symbols. The green chest collects the Serpent symbols. The yellow chest collects the symbols of the Golden Cat. 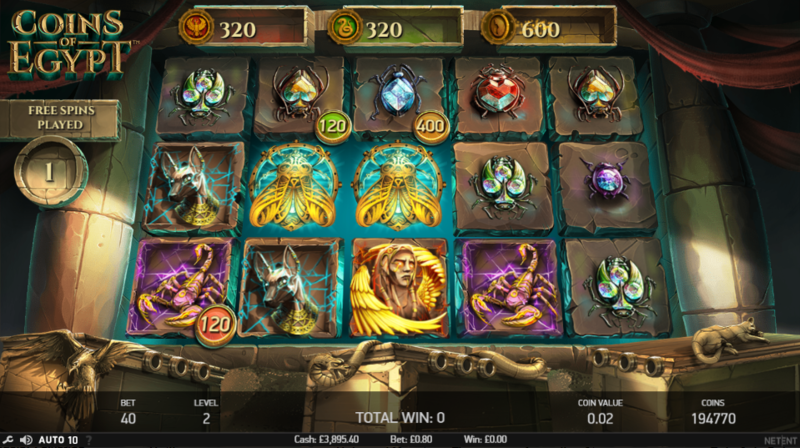 During free spins, the symbols of the eagle, snakes and cats appear on the screen, which form the prize pool of each chest. 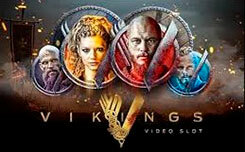 Pay attention to the fifth game drum on it, falling on the collection of characters that fill in the corresponding fields at the bottom of the game screen. Three filled cells in any of the boxes complement the bonus game, and you get a prize from the corresponding sign of the trunk. To date, coins of the Egypt slot are available only for the Betsson casino group, but all players hope that a slot with a unique and beautiful Egyptian theme will be available in the NetEnt general portfolio and will appeal to all players.